Blagg and O'Brien ought to bottle their version of Christmas, and this dolefully cheerful selection of poetry - from Dylan Thomas and the Druids to Robert Graves to Blagg himself. But here, when God is the speaker O'Brien is the reader. And that's how it goes with the "Battle of the Trees" (you'll see). 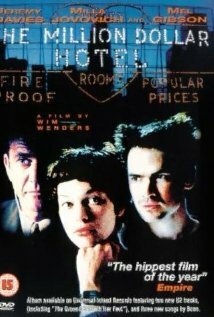 Musical selection: "Falling at Your Feet" (written and performed by Bono and Daniel Lanois) from the Wim Wenders film "Million-Dollar Hotel", scripted by Bono.